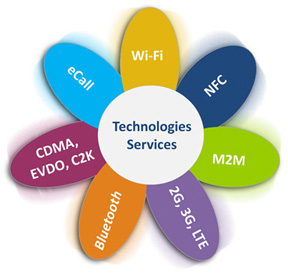 Nowadays, Carriers require very dynamic, flexible and customized testing services that can respond to their new needs around voice, data and video services. DEKRA as a leading testing organization has been successfully working with leading tier 1 and 2 mobile and wireless carriers in different regions. DEKRA becomes part of the manufacturer’s testing and device acceptance strategy at any carrier. Today, DEKRA offers a variety of services around test and measurement, aimed to support the launch of new devices, functionalities and applications, as well as to improve the Quality of Service and Quality of Experience of end users.